Customs Modernisation « What Happened to the Portcullis? TFA – Africa is on the move! Why not go faster? The following article is published with the kind permission of the author, Tapia Naula who is Principal Transport Economist at African Development Bank, based in the Ivory Coast. He is an international project manager and transport economist with experience in logistics business, research and trade facilitation. This article is a must for anyone associated with or working on the TFA on the African sub-continent, and a bit of a wake up call to those countries who have as yet done little or nothing to progress their participation. In the World TFA Cup Asia is leading Africa 72 – 35. The first scores of the WTO Trade Facilitation Agreement are out as member countries submit their Category A notifications. Initial results of the African first series are somewhat unfulfilling. Some teams are playing defensive even if attacking tactic is the only way to win. In December 2013, WTO members concluded negotiations on a Trade Facilitation Agreement (TFA) at the Bali Ministerial Conference, as part of a wider “Bali Package”. Among trade facilitation practitioners the Agreement was received with great enthusiasm: finally there was a legal instrument, which is concrete enough to make a difference! TFA will enter into force once two-thirds of members have completed their domestic ratification process. Section I contains substantive provisions in 12 main Articles. The members are required to categorize and notify each provision of the Agreement as either A, B or C Category. The A Category commits a country to implement the provision upon entry into force of the TFA, or one year after for LDC’s. For B-Category there will be a transitional period. C-Category provisions are allowed a transitional period, technical assistance and capacity building. First, let it be said loud and clear: the WTO TFA is an excellent collection of modern trade and transport facilitation instruments in one folder. In developing countries its implementation would mean reforms that would save time, money and efforts for regular business people and consumers. These reforms may be painful but the countries that can do it, will be the future winners of their regional competition and they will be the ones that will most benefit from joining the global value chains. TFA is the best vehicle for poverty reduction invented so far and that is why it is so important. In August, 2015, 14 African countries and 25 Asian countries had submitted notifications for category A provisions. Asian countries had “accepted” 72 % of all the provisions as A-Category commitments on average where the respective share of the African countries is only 35 %. On Article-level African countries lag behind on every Article except one (Table 1). In addition to the low overall share of category A-notifications, the African notifications generally look like “random picks” of sub-paragraphs, compared to many Asian members that have commonly chosen the strategy of basically accepting the whole Agreement and making exceptions for certain few paragraphs according to their particular needs. Were African governments well-informed of the impact and substance of each paragraph – or are they just being cautious, perhaps trying to delay the final commitment? The patterns between African and Asian countries are in any case different. TFA includes also “low hanging fruit” – sections that require little technical expertise to be implemented. At least some of these should have been easy for member countries to accept. “Publication and Availability of Information” is one of those sections. Access to information through internet is routine and affordable. It should not require transition periods or particular technical assistance. Donors are even competing to assist governments with such low cost and high-return activities. Still, less than one third of the African Governments notified this Article. Only Senegal notified the sub-Article on Single Window, which is probably the most important one of the whole Agreement. Senegal perhaps deserves this honor – being the first truly African-based single window country – and also representing the good practice of SW management. Yet, according to the African Alliance for e-Commerce, currently there are at least 16 other single windows either already operational or under development in Africa. Why weren’t these developments recognized? Despite the above “peculiarities” the African situation is fortunately nowhere near as somber as the A-Category notifications indicate. There are plenty of trade and transport facilitation initiatives under implementation – and Africa is indeed “on the Move.” We should on one hand side make sure that the valuable TFA Agreement is not becoming a separate formal process alongside the practical actions on the ground, but rather a framework for coaching governments in climbing up the stairs toward greater competitiveness. On the other hand, the countries should not ignore the existing achievements. A lot has been achieved in Africa in recent years and this process should go on and gain speed. Some sub-regions, which have been less successful in this field need benchmarks, encouraging and coaching. This is where African and international organizations can play a role. Although the direct cost of TFA implementation is relatively low, the indirect cost may be extremely high. The indirect cost concerns existing structures, which generate income for organizations and individuals, who often greatly benefit from the status quo. Some governments have entered into concessions outsourcing critical government functions such as pre-customs clearance operations and processing and submissions of declarations to customs. Western firms have efficiently seized the opportunity and negotiated deals, which guarantee profits for in many cases for decades to come. Single Windows in certain countries are good examples for these. In an unnamed Southern African country for example, humanitarian aid is exempt from taxes and duties in import. If however a UN agency for example imports a container of pharmaceuticals worth five million USD, it will have to pay for a Single Window fee of 42,500 USD! Such Ad Valorem fee arrangements are against the TFA. Such concessions are often built inside structures, which profit from the concessions and in exchange – protects its operations and continuity. This is why they are difficult to tackle. This is an example of the problematics that African policy makers must deal with when taking a position in committing in TFA provisions. It may be a whole lot more complicated than what it looks like. Association between % Share of Sub-Article Level A-Category Commitments and the Corruption Perception Index Score (CPI). Sources: WTO and transparency International. The diagram above shows the association of share of the provisions that have been covered by A-Category notifications and the Corruption Perception Index (CPI) score of the countries. For African countries the correlation is moderate (correlation co-efficient: 0.42) but for Asian countries the association is strong (correlation co-efficient: 0.73). The association of the two variables is understandable: the less corruption a country has (the higher the CPI rank is), the more reforms the government is in liberty to conduct (the higher coverage of TFA as A-category Notifications). We need to better understand the underlying reasons why policymakers cannot let reforms take off. Traditions, corruption and outdated structures are usually the biggest obstacles. These cannot be overcome by merely providing short-term technical assistance and bench-marking the world best practices but only strong political leadership can make the change. Developing partners should raise this topic on the highest political level and “live together” through the reforms with the counterparts. A new NZ$140 million border management system was supposed to replace and retire twenty year old software but New Zealand’s Customs Service is now describing the legacy CusMod system as “suitable for continued use” after server and software upgrades. In a hearing on Budget estimates before Parliament’s Foreign Affairs, Defence and Trade committee, Customs was unable to set a date for retirement of the old system even after having spent NZ$104 million so far on its replacement. In 2007, Customs said there was a significant risk CusMod couldn’t continue to respond to changes in global trade and travel, continue to manage emerging risks such as international crime or meet revenue collection objectives. Eight years later, the agency is told Parliament “very large” amounts of information are still stored in CusMod, it is still considered an important tool and will be retained “for the time being”. The hearing also revealed the planned second tranche of the Joint Border Management System (JBMS) project, focusing on risk and intelligence, will not proceed as planned and is being replaced with modular implementations with no specified delivery date. Customs also explained that “legal discussions” were required to manage the agency’s relationship with vendor IBM and to recast the original JBMS contract. The first tranche of the JBMS started life with a budget of just NZ$75.9 million and was to be completed by the end of 2012, but Customs Minister Nicky Wagner is denying suggestions of a budget blowout. Wagner said the project was within budget, and additional funding was not expected to be sought. “The minister commented that the combined cost for tranche one and two was originally planned to total NZ$140 million, and NZ$104 million has been expended so far,” the committee’s report says. Secretary General of the WCO, Mr. Kunio Mikuriya, welcomes delegates to what is now one of WCO’s premium external events bringing together representatives of the software industry and Customs policy makers. The 14th annual WCO IT Conference & Exhibition was officially opened on 6 May 2015 in Freeport (Bahamas). 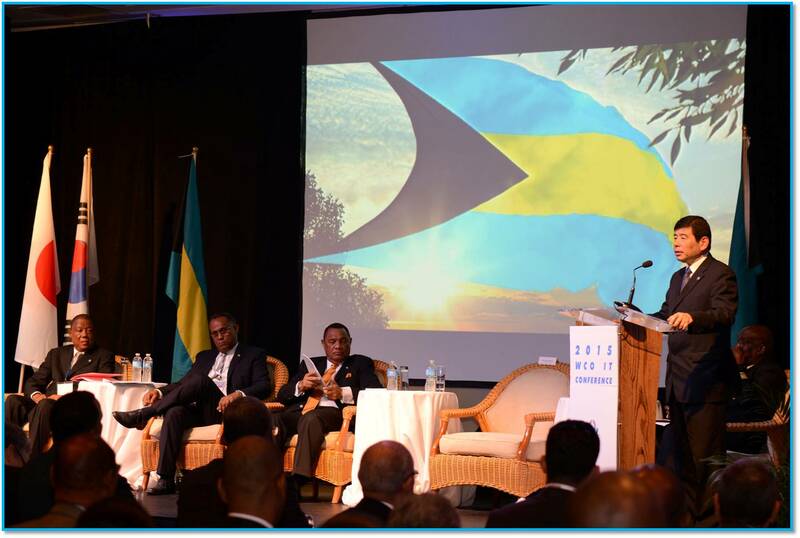 Senior Government representatives of The Bahamas Government opened the 3-day Conference in the presence of over 400 participants from 75 countries. The Right Honorouble Perry Gladstone Christie, Prime Minister and Minister of Finance of the Commonwealth of The Bahamas thanked the WCO for choosing The Bahamas for this very important global Conference. The hosting of this WCO event is an example of the government’s commitment to bring business opportunities to Grand Bahama! The Prime Minister further continued by reminding the delegates that the WTO concluded negotiations on a Trade Facilitation Agreement at the Bali Ministerial Conference in December 2013 and about its potential of reducing international trade costs of approximately 12%. He underlined that the WTO Trade Facilitation Agreement owes much to the technical work that had already been carried out at the World Customs Organization. The Secretary General of the WCO, Mr. Kunio Mikuriya, welcomed the delegates to what is now one of WCO’s premium external events bringing together representatives of the software industry and Customs policy makers. The Secretary General emphasized the theme of this year’s Conference “Inclusiveness Through Information Technologies”, adding that it addresses three key priorities of the WCO Members – Implementation of the WTO Trade Facilitation Agreement, Regional Economic Integration and Coordinated Border Management. 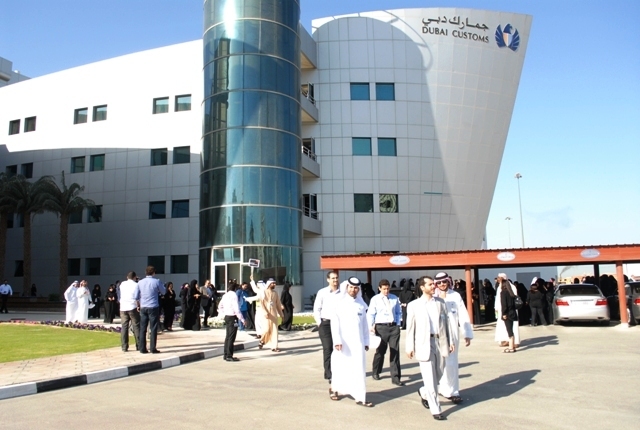 Dubai Customs (DC) has earned the coveted Enterprise Architecture Award 2015, presented by Frost & Sullivan; a world leader in growth consulting and the integrated areas of technology research, market research, mega trends, economic research, customer research, competitive intelligence, and corporate strategy. The award was presented to Dubai Customs to recognise its Business Capability Management, developed by the Business Process and Enterprise Architecture at the Customs Development Division to upgrade corporate capability at Dubai Customs. Commenting on the advantages of the Business Capability Management, Juma Al Ghaith, Executive Director of Customs Development Division, said that the project provides a comprehensive connected view of DC’s business capability and determines the gaps and requirements of business units while putting forth a plan to fill these gaps. It also pinpoints strength and weakness points to help make informed decisions, offers improvement recommendations for business capabilities and devises an action plan for implementing these recommendations. Creatively upgrading the enterprise architecture helps create a conducive environment for divisions and departments in DC to bond and better manage capabilities, allowing DC to determine its structural strategy and formulate a clear road map and initiatives for corporate changes. The Enterprise Connected View links and documents all corporate components, allowing a more accurate and speedy decision making process and facilitating an effective change management. Counting Frost & Sullivan’s EA Award 2015 in, Dubai Customs has scooped three global awards for its “Business Capability Management and Enterprise Architecture” in 2014 and 2015,The Business Capability Management focuses on four aspects: People, Process, Technology and Information.It identifies capabilities and measures them against world-class criteria to ensure optimal performance, revenue and sustainability. Herewith a new newsletter informing about developments of Capacity Building Projects in Sub- Saharan African Customs Unions as sponsored by the government of Sweden. The project includes the WCO- EAC CREATE Project, the WCO- WACAM Project, The SACU Connect Project and the WCO INAMA Project. With this newsletter we share with you updates about ongoing activities as well as an outlook for the events of the upcoming months. Click this hyperlink to download the newsletter. The Kenya Trade Network Agency, operator of the National Electronic Single Window System, has refuted claims by some clearing agents that the platform is lapsing. KenTrade has instead blamed slow integration of its system on the continued parallel use of the Kenya Revenue Authority’s systems – the Orbus and Simba. Currently, importers are using both systems to process documents such as import permits. Project director Amos Wangora said there is need to retire Orbus system for agents to embrace the Single Window System, particularly in filing Import Declaration Forms. Kentrade accused KRA officials of avoiding the Single Window System. “We don’t have any problem in the use of the Single Window System. It’s only people who don’t want to embrace the new system. Those using it are doing good only for some KRA officials who still want to use the Orbus system,” said Wangora in an interview on Friday. 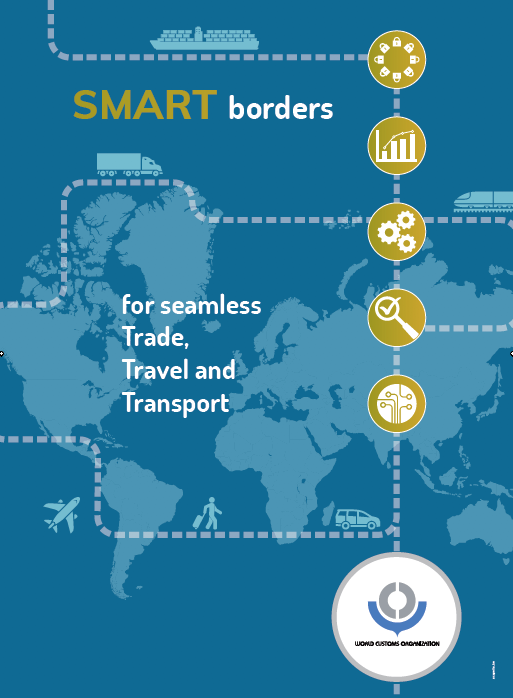 KenTrade is the state agency tasked with facilitating cross-border trade through the Single Window System. Wangora said only three modules remain for the Single Window System to be completed fully – include on declaration submission, bonds and exemption. Testing of the declaration submission module is on and is expected to be completed by 20 January 2015. A section of clearing agents had raised concerns over delays in cargo clearance at the port of Mombasa under the Single Window System. Yesterday, the Kenya International Freight and Warehousing Association, Mombasa chapter, said KRA officials prefer their own system, which “lacks transparency”. A clearing agent told the Star that one has to personally push for services, which involves handouts, under the KRA system. Kentrade has since written to KRA commissioner-general to halt the Orbus system on January 31. The Single Window System integrates about 24 government agencies’ functions, offering a one-stop shop for processing import and export permit documents. More than 6,000 imports and exports permits were issued under the new system last year, including permits from Kenya Bureau of Standards and Ministry of Health’s veterinary and pharmaceutical departments.